Greenpeace International est basée à Amsterdam. Une centaine de personne y travaillent. Le budget de Greenpeace international a été de 41,78 millions d'euros en 2006. 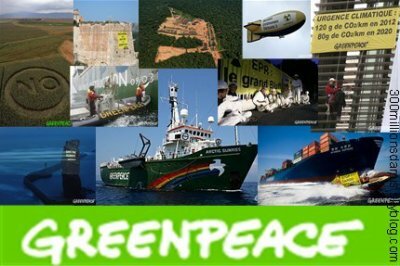 En 1979, soit 8 ans après l'action fondatrice de Greenpeace, les bureaux européens, américains et ceux du Pacifique décident de mutualiser leurs moyens et créent donc Greenpeace International. Dr. Gerd Leipold, a été nommé Directeur exécutif de Greenpeace International en Février 2001. ...et ceci n'est qu'une infime partie de leurs actions ! total respect il faut qu'il continue !!!! stpl ===> clik et lache t coms. SOMMES-NOUS IGNORANT A CE POINT ? NOUS DEVONS TOUS NOUS UNIR AU PLUS VITE DANS UNE MEME CONSCIENCE PLANETAIRE AFIN DE SAUVEZ CE QUI RESTE DE CETTE PLANETE. LE BUT DE CE MESSAGE EST D’ELEVER LA CONSCIENCE PLANETAIRE DE TOUS CEUX QUI LE LIRONT. NOUS DEVONT IMPERATIVEMENT TOUS REALISES ET COMPRENDRE CE QUI SE PASSE SUR CETTE TERRE. LA SEULE CHANCE POUR L’HUMANITE DE S’EN SORTIR AU PLUS VITE AFIN D’EVITER DE JUSTESSE TOUTES LES SOUFFRANCES QU’ELLE AURA A SUBIR BIENTOT, CAUSE PAR L’APPARTENANCE A UN TERRAIN QUI AMENE AUTOMATIQUEMENT LA DIVISION ENTRE LES ETRES HUMAINS EST DE REALISER AU PLUS VITE SUR UN TERROTOIRE DE LA TERRE UN NOUVEAU SYSTEME BASE SUR L’UNION DES ETRES HUMAINS. CE SERA A NOUS TOUS D’EXIGER AU NATIONS-UNIES QU’IL DOIVENT ORDONNER UNE RECHERCHE SCIENTIFIQUE. ELLE SERA REALISE POUR L’HUMANITE ENTIERE AFIN DE PROUVER TOUTE LA BEAUTE DE CETTE FACON DE VIVRE QUI EST BASE SUR L’UNION. IL FAUT IMPERATIVEMENT QU’UN PAYS AU NATIONS-UNIES SE PORTE VOLONTAIRE POUR CETTE ETUDE EXTRAORDINAIRE. CE PAYS VA PROUVER A L’HUMANITE QUE VOUS N’AVEZ ABSOLUMENT PAS BESOIN DE SYSTEMES FINANCIERS POUR VIVRE PARFAITEMENT HEUREUX SUR CETTE TERRE. MAIS AU NOM DE DIEU, NOUS DEVONT TOUS REAGIR SUR CETTE TERRE AU LIEU D’ATTENDRE LA FIN SANS REAGIR, LES BRAS BAISSES DEVANT CE MONSTRE DE DIVISION QUE NOUS TOUS AVONT CREES ET NOURRIT TOUS AU LONG DE L’HISTOIRE DE L’HUMANITE. SI CETTE LECTURE VOUS A APPORTEZ UNE REFLEXION DIFFERENTE DE NOTRE MONDE, OU UN ESPOIR A L’INTERIEUR DE VOUS, ENVOYEZ-LE A TOUS CEUX ET CELLES QUE VOUS CONNAISSEZ AFIN QU’IL Y EST DE PLUS EN PLUS D’ETRES HUMAINS QUI SE CONSCIENTISENT ET REALISENT CE QUI SE PASSE REELEMENT SUR CETTE TERRE. ( GOUVERNEMENTS) SUR CETTE TERRE EST DE NOUS CONSCIENTISER PAR NOUS-MEME NOUS DEVONT DIALOGUER ENTRE NOUS A TOUT PRIX DE LA POSSIBILITES DE CREER CONCRETEMENT UN MONDE NOUVEAU ET TRES DIFFERENT. LES TAPIS ROUGES N’ONT SURTOUT PAS LES COMPETENCES POUR VOUS CONSCIENTISER, ALORS, N’ESPEREZ RIEN DE LEURS PARTS. PLUS ON PARLERA DU PROJET HUMAIN ET PLUS LA CONSCIENCE PLANETAIRE S’ELEVERA SUR CETTE TERRE EN DIRECTION DE VOTRE PARADIS. ALORS EXPLIQUEZ-MOI L'EXISTENCE ET L’UTILITE DE CES 198 FOUTUS PAYS QUI AMENENT UNE DIVISION COMPLETE ENTRE TOUS LES ETRES HUMAINS DE CETTE PLANETE. PERSONNE SUR TERRE NE SEMBLE REALISE QUE L'APPARTENANCE A UN BOUT DE TERRE A TOUJOURS PROVOQUE DES GUERRES TOUT AU LONG DE L'HISTOIRE DE L'HUMANITE. CHACUN DE CES 198 PAYS SONT DIVISE EN COMBIEN DE PETIT TERRAINS, DE TERRES, DE DOMAINES, DE FERMES ETC, APPARTENANT A DES ETRES HUMAINS QUI AMENE AUTOMATIQUEMENT A L'INTERIEUR MEME DU PAYS LES GENS A SE DIVISES ENCORE PLUS. CHACUN DE CES PETITS TERRAINS SONT ENSUITE TRANSFORMES EN VERITABLE PETIT PARADIS EN FONCTION DU COUT ET DU GOUT PERSONNEL DU PROPRIETAIRE. CETTE NOTION D'APPARTENANCE A UN PETIT TERRAIN A AMENE GRADUELLEMENT L'HUMANITE AU BORD DU GOUFFRE. VOUS N’AVEZ QU’A REGARDER SUR LE VIDEO TOUTE LA SURFACE EN PIED CARRE QUE NOUS COUVRONT MAINTENANT SUR CETTE TERRE. NOUS AVONT DEFAIENT LITTERALLEMENT LE CASSE-TETE QUI A L’ORIGINE REPRESENTAIT LA PLANETE TERRE DANS TOUTE SA SPLENDEUR. NOUS AVONT AUJOURD'HUI DEVANT NOS YEUX LE RESULTAT DESASTREUX DE 20000 ANS DE DIVISION. NOUS AVONT REUSSI A MORCELER CETTE TERRE EN MILLIARDS DE PETIT TERRAIN PROVOQUANT UNE SURCONSOMMATION ET UNE POLLUTION INCROYABLE. L'APPARITION DE TOUS CES PETITS TERRAINS A FORCE L'HUMANITE A S'ETENDRE PARTOUT SUR CETTE TERRE ET DETRUISANT 50% DES RESSOURCES NATURELLES DE LA SEULE PLANETE QUE NOUS AYONT. EN VOULANT A TOUT PRIX GARDER JALOUSEMENT CE SYSTEME DE DIVISION BIEN EN PLACE, L'HUMANITE A ETE OBLIGER DE CONSTRUIRE COMBIEN DE MILLARDS DE KILOMETRE DE ROUTES POUR REUSSIR A JOINDRE AU SYSTEME ROUTIER TOUS VOS PETITS PARADIS SUR CETTE PLANETE. JE SUIS CONVAINCU QUE SI JE REVIENS SUR CETTE TERRE DANS 100 ANS, VOUS ALLEZ AVOIR REUSSI A TOUTE L'ASPHALTER ET NOTRE PLANETE SERA DEVENU UN IMMENSE PARKING. VOUS AVEZ LITTERALLEMENT PIETINEZ LE JARDIN. VOUS N'AVEZ QU'A REGARDER TOUTES LES CARTES ROUTIERES DE CE MONDE ET VOUS VERREZ TOUTE L'AMPLEUR DU DESASTRE. NOUS NOUS SOMMES ETENDUS PARTOUT SUR CETTE TERRE EXACTEMENT COMME UN CANCER ENVAHISSANT VOTRE CORPS. NOUS AURIONS DU VIVRE A LA VERTICALE ET NON A L’HORIZONTALE AFIN DE POUVOIR PROTEGER AU MAXIMUM NOS RESSOURCES NATURELLES QUI NOUS PERMETTENT DE SE NOURRIR. MAIS AU NOM DE DIEU, CE JARDIN NE DEVAIT SERVIR QU'A NOUS NOURRIR, NOUS N'AVIONS AUCUN DROIT DES LE DEPART DE S’ACCAPARER DE TERRE, DE TERRITOIRES A DES FINS PERSONNELLES ET DE CONSTRUIRE TOUS CES LABYRINTHES DE ROUTES. LES MOTS TERRAIN, TERRITOIRE, PAYS, COMTE, VILLAGES VILLES, FRONTIERES, PASSEPORT N’AURAIENT JAMAIS DU EXISTEZ DANS NOTRE VOCABULAIRE. SI LA PLANETE TERRE SERAIT 20 FOIS PLUS GROSSES, JE N’AURAIT MEME PAS EU BESOIN D’ECRIRE CE DOCUMENT, PARCEQU’IL Y AURAIT ENCORE DE L’ESPACE ET DES RESSOURCES NATURELLES EN ABONDANCES POUR 7 MILLIARDS D’ETRES HUMAINS. MAIS, IL NE FAIT AUCUN DOUTE QUE DANS 500 ANS, LA POPULATION MONDIALE SERAIT DE 100 MILLIARDS D’ETRES HUMAINS QUI DESIRERAIENT TOUS AVOIR LEURS PETITS TERRAINS ET ELLE SERAIENT RENDU EXACTEMENT AU MEME POINT QU’EN CE MOMENT, PRES DE LA FIN. SI LA FAMINE EXISTE SUR CETTE TERRE, C’EST UNIQUEMENT PARCE QUE LES ETRES HUMAINS SE SONT ACCAPARES GRADUELLEMENT DE TERRE QUI NE LEURS APPARTIENNENT PAS. LA PLANETE TERRE APPARTIENT A TOUS LES ETRES HUMAINS, DONC VOUS NE POUVEZ PAS LA DIVISE COMME VOUS LE FAITES ET VENDRE CHAQUE MORCEAUX. LA PLANETE TERRE N’A JAMAIS ETE A VENDRE. COMBIEN EXISTENT- ILS DE PROPRIETAIRES DE TERRAINS SUR LA TERRE ? CHACUN DE CES PROPRIETAIRES TERRIENS DEVIENNENT ROI ET MAITRE SUR LEUR TERRAIN. DONC LA GESTION INTELLIGENTE DE NOS RESSOURCES NATURELLES A L'ECHELLE MONDIALE QUI PERMETTRAIT POURTANT A TOUS LES ETRES HUMAINS DE SE NOURRIR ET DE VIVRENT PARFAITEMENT HEUREUX SUR CETTE TERRE EST ABSOLUMENT IMPOSSIBLE A CONCEVOIR DANS CES CONDITIONS. VOS SYSTEMES FINANCIERS SONT SIMPLEMENT DES OUTILS QUI PERMETTENT DE TENIR BIEN EN PLACE NOTRE FACON DE VIVRE QUI EST BASE AVANT TOUT SUR L’APPARTENANCE A LA TERRE ET QUI OBLIGENT PAR LE FAIT MEME TOUS LE MONDE A VIVRE DANS LA DIVISION. L’ ARGENT , LE TROC , LES ECHANGES COMMERCIAUX, LE CAPITALISTE, LE COMMUNISTE, L’ECONOMIE, LA MONDIALISATION, LES GUERRES, LA POLLUTION, LA FAMINE, ETC, ETC… SONT APPARUS GRADUELLEMENT SUR CETTE TERRE UNIQUEMENT PARCE QUE LES ETRES HUMAINS SE SONT ACCAPARES DE TERRAIN POUR LEUR SOIF DE POUVOIR TOUJOURS GRANDISSANTE, DEVENANT DES ROIS , DES REINES, DES PRESIDENTS, DES DICTATEURS OU CHACUN D’EUX AVAIENT UN CONTROLE TOTALE SUR LEURS PEUPLES RESPECTIFS. AU LIEU DE GARDER NOTRE PARADIS INTACTE, NOUS, ON L'A DIVISE EN 198 PAYS. AU LIEU DE CONSTRUIRE ET DE VIVRE A L’INTERIEUR DE MAGNIFIQUES CITEES, NOUS, ONT CONSTRUIT DES ROUTES. AU LIEU DE REFLECHIR A LA CONCEPTION REELLE DE NOTRE PARADIS TERRESTRE, NOUS ONT ATTEND COMME DES IGNORANTS QUE PAPA DIEU VIENNE NOUS SAUVEZ. LA POSSIBILITES DE CREER UN NOUVEAU SYSTEME BASE SUR L’UNION ET QUI NOUS PERMETTRAIENT D’ATTEINDRE ET DE RETROUVER NOTRE PARADIS TERRESTRE EST LA PHRASE LA PLUS TABOU DANS L'HISTOIRE DE L'HUMANITE. TOUS LES ETRES HUMAINS SUR CETTE TERRE SONT ORGEUILLEUX DE LEURS 198 FRONTIERES. CA VOUS A TOUJOURS DETRUIT ET DIVISE ET POURTANT, ENCORE AUJOURD’HUI EN 2009 TOUS LE MONDE TROUVE CA PARFAITEMENT NORMAL ET NATUREL. QUEL FOLIE, C’EST UN SUICIDE COLLECTIF INVOLONTAIRE. VOUS ALLEZ BIENTOT FRANCHIR LA LIGNE DE NON-RETOUR QUI VOUS AMENERA DES SOUFFRANCES INCROYABLES ET POURTANT LES NATION-UNIES N’ONT JAMAIS COMMANDES D’ETUDES SPECIALES D’URGENCE PAR NOS SCIENTIFIQUES, CHERCHEURS, PENSEURS, PHILOSOPHES, DE LA POSSIBILITE D’ETABLIR UN NOUVEAU SYSTEME SUR CETTE TERRE QUI AMENERAIT L’HARMONIE ET UN GRAND BONHEUR POUR TOUS LES ETRES VIVANTS DE LA TERRE. JAMAIS LES NATIONS-UNIS A GENEVE N’ONT APPORTES A L’HUMANITE NE SERAIT-CE QUE L’OMBRE D’UN MONDE MEILLEUR OU D’UN ESPOIR NOUVEAU QUE NOUS TOUS DESIRONT. VOUS NE POUVEZ DEMANDER A UN GROUPE D’ETRES HUMAINS QUI SE VOIT TOUS PERSONNELLEMENT COMME DES ROIS DE DECIDER D’ELEMINER LES FRONTIERES SUR CETTE TERRE. MAIS QU’EST-CE QUE MA PETITE PERSONNE PEUT FAIRE DEVANT TANT DE MONSTRUOSITE QU’EST LA PRESENCE SUR CETTE TERRE DE TOUS CES GOUVERNEMENTS QUE TOUS LES PEUPLES TIENNENT ABSOLUMENT A CONSERVER. LA CREATION DES NATIONS-UNIS EST UNE FARCE INCROYABLE POUR L’HUMANITE. LES NATIONS N’ONT JAMAIS ETE UNIS DEPUIS TOUJOURS SUR CETTE TERRE. SI VOUS VOULEZ QUE LES NATIONS SOIT VRAIMENT UNIS SUR CETTE TERRE, VOUS ALLEZ DEVOIR FAIRE DISPARAITRE TOUTES LES FRONTIERES CAR ELLES NUISENT A L’EVOLUTION DE L’HUMANITE. C’EST A CE MOMENT PRECIS QUE LA SIGNIFICATION DES MOTS NATIONS-UNIS PRENDRONT TOUTES LEURS IMPORTANCES. DES LA CREATION DES NATIONS-UNIS PAR L’HUMANITE, ON AURAIT DU EXIGER TOUT DE SUITE QUE TOUS LES SIEGES SOIENT RESERVES AU ETRES HUMAINS LES PLUS SAGES ET LES PLUS QUALIFIES DE LA PLANETE. L’HUMANITE N’AVAIT QU’A CHOISIR UN ETRE HUMAIN PAR PAYS POUR SIEGER AU CONSEIL MONDIAL. IL N’Y A PAS DE ROIS, NI DE PRESIDENTS, NI DE PARTIS POLITIQUE, NI D’ELECTION DANS LE SYSTEME BASE SUR L’UNION, CE SONT 198 ELUES QUI SIEGES D’EGAL A EGAL AU CONSEIL ET ILS SE DOIVENT TOUJOURS D’ARRIVER A L’UNANIMITE CONCERNANT LES BESOINS DE BASE POUR L’HUMANITE. SEUL UN CONSEIL MONDIAL POURRAIT PRENDRE TOUTES LES DECISIONS CONCERNANT L’HUMANITE AVEC L’AIDE DE TOUS NOS SCIENTIFIQUES DE TOUS LES DOMAINES ET GRADUELLEMENT UN SYSTEME BASE SUR L’UNION AURAIT APPARU SUR CETTE TERRE FAISANT DISPARAITRE LES FRONTIERES, LES GUERRES, LA FAMINE, LA POLLUTION ETC ETC… LA TECHNOLOGIE SUR UN PARADIS EST SIMPLEMENT UN OUTIL QUI VA PERMETTRE D’ AMENER TOUTE LA LOGISTIQUE NECESSAIRE POUR BIEN GERER NOTRE PLANETE. C’EST QUAND MEME BIZARRE ET INCROYABLE DE REALISER QUE D’UN COTE, TOUS LE MONDE SUR CETTE TERRE DESIRENT ARDEMMENT VIVRENT SUR UN PARADIS QUAND ILS ONT DEJA LES DEUX PIEDS DESSUS ET DE L’AUTRE COTE DE REALISER QUE TOUS LE MONDE NE VOIT CE PARADIS QU’APRES LEURS MORTS. ET POURTANT AUJOURD’HUI EN 2009, VOUS AVEZ TOUS CE QU’IL FAUT POUR LE REALISER. VOUS CONNAISSEZ CHAQUE POUCE CARRE DE CETTE PLANETE, VOUS AVEZ LES CONNAISSANCES NECESSAIRES ET LA TECHNOLOGIE ADEQUATE POUR Y PARVENIR. COMMENT SE FAIT-IL QUE LA PAUVRETE EXISTE DEPUIS TOUJOURS SUR CETTE TERRE QUAND ELLE PEUT EN NOURRIR 20 MILLIARDS? COMMENT ELIMINER LA PAUVRETE POUR TOUJOURS SUR CETTE TERRE ?. VOILA LE GENRE DE QUESTIONS QUE LES SOI-DISANTS PENSEURS OU SCIENTIFIQUES DE CETTE PLANETE AURAIENT DU SE POSER POUR L’AVENIR DE L’HUMANITE. VOUS N’AVIEZ POURTANT QU’A REPONDRE A CES DEUX SEULES QUESTIONS. MAIS NON, ON PREFERENT PLUTOT ESSAYER DE REPONDRE A DES CENTAINES DE QUESTIONS EXISTENTIELLES QUI SONT ABSOLUMENT INUTILE POUR LE MOMENT ET QUI ONT AMENE LA CREATION DE MILLIONS DE LIVRE QUI N'APPORTENT ABSOLUMENT AUCUNE REPONSE. ET PENDANT QUE VOUS PERDIEZ VOTRE TEMPS A ESSAYER DE REPONDRE A TOUTES CES QUESTIONS, LE MONDE SE DETRUISAIT GRADUELLEMENT. QUEL HORREUR. TOUS CE QUI SE DIVISE PROVOQUENT TOUJOURS UNE DESTRUCTION, DONC UNE FIN. TOUS CE QUI S’UNIENT PROVOQUE TOUJOURS UNE HARMONIE, DONC UNE GRANDE LONGEVITE. AU LIEU DE VIVRE DANS L' UNION, NOUS ONT PREFERENT VIVRE DANS LA DIVISION. AU LIEU D'AVOIR UN CONSEIL MONDIAL, NOUS ONT PREFERENT GARDER NOS 198 GOUVERNEMENTS QUE J'APPELENT LES TAPIS ROUGES. AU LIEU D'AVOIR UN MONDE OU LE BONHEUR, LA SECURITE ET L'AMOUR REGNE, NOUS ONT PREFERENT GARDER NOS 198 ARMEES QUI N'HESITENT PAS A SACRIFIER DES MILLIERS D'ETRES HUMAINS AU NOM D’ UNE DEMOCRATIE DONC PERSONNE NE COMPREND VRAIMENT LA SIGNIFICATION. NOUS SOMMES PRISONNIERS DE NOTRE PROPRE DIVISION. AU LIEU DE VIVRE DANS DE MAGNIFIQUES CITEES, CONSTRUITENT EN DES ENDROITS PRECIS QUI NE METTENT PAS EN PERIL LES RESSOURCES DE LA PLANETE, VOUS PREFEREZ VIVRENT DANS DES VILLES LAIDES, BRUYANTES ET POLLUANTES. AU LIEU D'AVOIR DES CITES MAGNIFIQUES OU L'AUTOMOBILE EST ABSOLUMENT INUTILE, VOUS PREFEREZ GARDER VOS MILLIARDS DE VEHICULES A MOTEUR TOTALEMENT DANGEREUX ET POLLUANT. AU LIEU D'AVOIR UNE GESTION MONDIALE UNIQUE DE L'AGRICULTURE PAR NOS SCIENTIFIQUES, NOUS ONT PREFERENT GARDER TOUS CES PROPRIETAIRES FERMIER QUI CULTIVENT UNIQUEMENT CE QUI EST PAYANT. ET JE POURRAIT CONTINUER CETTE LISTE SUR UN KILOMETRE. L'APPARTENANCE A UN TERRAIN OU A UN PAYS EST LA SOURCE EXACTE DE TOUS VOS PROBLEMES ET CE DEPUIS LES TOUS DEBUTS DE L'HUMANITE. UN SYSTEME BASE SUR L’UNION VOUS APPORTERAIENT AUTOMATIQUEMENT, BONHEUR, AMOUR , BEAUTE EXTREME, SECURITE ABSOLU, NOURRITURE ABONDANTE POUR TOUS LES ETRES HUMAINS, POSSIBILITES DE VOYAGER A VOLONTE PARTOUT SUR CETTE TERRE, VOUS AURIEZ LA CHANCE DE VIVRE N’IMPORTE OU SUR NOTRE PLANETE. UN SYSTEME BASE SUR L’UNION EST SIMPLEMENT UNE GESTION INTELLIGENTE DE NOS 20 HEURES DE TRAVAIL PAR SEMAINES ET DES RESSOURCES NATURELLES A L’ECHELLE MONDIAL PAR NOS SCIENTIFIQUES AFIN D’AMENER LE CONFORT ET LE BONHEUR A TOUS SUR CETTE TERRE. JE PREFERE TRAVAILLER MES 20 HEURES DE TRAVAIL POUR LE BIEN-ETRE DE L’HUMANITE, AU LIEU DE TRAVAILLER 50 HEURES PAR SEMAINE POUR MON BIEN-ETRE PERSONNEL. JE VOIS TOUTE LA LAIDEUR DE VOTRE DIVISION. JE VOIS TOUTE LA BEAUTE INCROYABLE DE VOTRE PARADIS. NOUS PARTICIPONS TOUS A CETTE DESTRUCTION DE FACON BIEN INVOLONTAIRE DE NOTRE PART. NOUS NE CONNAISSIONS RIEN D’AUTRE QUE LA DIVISION SUR CETTE TERRE COMME FACON DE VIVRE ALORS MAINTENANT NOUS ALLONS DEVOIR TOUS NOUS CONSCIENTISER ET NOUS PARDONNER A L’ECHELLE MONDIALE AFIN DE TRAVAILLER UNE BONNE FOIS POUR TOUTE A LA REALISATION CONCRETE D’UNE TERRE OU VIVRONT 7 MILLIARDS D’INDIVIDUS EN HARMONIE. TOUTES CES ANNEES DE REFLEXIONS INTENSES ET REALISEES POUR L'HUMANITE SERVIRONT-ELLES UN JOUR A VOUS AIDER. J'EN DOUTE FORT, CAR JE SAIS QUE PERSONNE NE PEUT ECOUTER PERSONNE SUR CETTE TERRE A CAUSE DE VOTRE DIVISION QUI EST TOTALE ET ENTIERE. CHAQUE ROI SUR CETTE TERRE POSSEDE SA PROPRE VERITE. L’ EXISTENCE DE LA FAMINE SUR UNE PLANETE AUSSI FERTILE DEVRAIT POURTANT FAIRE REALISER A TOUS CES ROIS L’URGENCE D’AGIR. ALORS JE PENSE SINCEREMENT QUE DIEU, DANS SA GRANDE SAGESSE, NE NOUS EN VOUDRAIT PAS D'ESSAYER DE CONCEVOIR PAR NOUS MEMES ET PAR NOS PROPRES MOYENS LE PARADIS SUR CETTE TERRE, JE PENSE QU'AU CONTRAIRE, IL SERAIT FOU DE JOIE DE VOIR ENFIN SA CREATION PRENDRE DE LA MATURITE. LA SEUL RELIGION QUE NOUS DEVRIONT TOUS AVOIR EN CE MOMENT MEME EST SIMPLEMENT LE DESIR DE VOIR ENFIN DISPARAITRE CONCRETEMENT ET GRADUELLEMENT TOUTE LA MISERE SUR CETTE TERRE. QU’IMPORTE LA LANGUE OU LA RELIGION A LAQUELLE VOUS APPARTENEZ, NOUS N’AVONT PLUS BEAUCOUP DE TEMPS, NOUS DEVONT CESSEZ DE NOUS JUGER MUTUELLEMENT CAR TOUT CE JUGEMENT CAUSE PAR VOTRE DIVISION VOUS EMPECHENT DE VOIR L’ESSENTIEL. LE SEUL FAIT D’ETRE VIVANT SUR CETTE PLANETE EST UN CADEAU POUR CHACUN DE NOUS. POUR MOI, LA PERSONNALITE, LA BEAUTE, LA RACE, LA LANGUE, LA RELIGION DE CHAQUE ETRE HUMAIN SUR CETTE TERRE REPRESENTE TOUT SIMPLEMENT LE GLACAGE SUR LE GATEAU. C’EST JUSTEMENT TOUTE CETTE DIVERSITE QUI FAIT LA BEAUTE DE L’HUMANITE. POUVEZ-VOUS IMAGINEZ UN MONDE OU TOUS LES ETRES HUMAINS SERAIENT IDENTIQUES. JE SUIS SUR QUE NON. IL FAUT VRAIMENT QUE L’HUMANITE COMMENCE A REFLECHIR A LA POSSIBILITE DE REALISER CONCRETEMENT SON PARADIS AFIN QUE LA RACE HUMAINE PUISSE JOUIR DE CETTE PLANETE POUR L’ETERNITE. Je pourrais pas etre new letter ? en admiration total envers tous c'est gens !!! Il arrive que des militants de Greenpeace se fassent arrétés et emprisonnés mais rien ne les arrete! Cette association est tout simplement incroyable: elle n'agit pas seulement pour les animaux mais aussi pour l'environnement et les Hommes, elle s'occupe de tout en meme temps!